It is possible to pay off debt fast. Believe me, I would know. It’s not easy, but it’s possible to pay off student loan debt fast. We paid off over $150,000 worth of educational loans in less than 7 years. When Tom graduated from Stetson Law School in 2010 we sat down and did the math on his loans. We knew how much debt he had, but we were interested to see how the interest would affect us. If we hadn’t done this, I don’t think we ever would have realized how important it is to pay off high interest loans. Once we did the math, we realized that his loans were at such high interest rates that if we waited to pay them over the 25 year plan, we’d pay nearly $500,000 back total. Capitalized interest: good for investments, not good for debt. That’s when Tom decided to come up with a plan. A 7 year plan to be exact. We somehow estimated that if we lived way, way, way beneath our means for 7 years, then we could possibly pay off that debt in 7 years. We loved to dine out, but knew if we cut it out, we could make a big dent in our debt. We learned to cook well. Since we no longer could afford to dine out, we decided to cook more. Because of this, we can cook pretty well now, and often times prefer our own cooking to dining out. We bought a digital antenna and cut out cable for several years. At one point our antenna didn’t reach the channel hosting the Super Bowl. Tom was bummed, but we went to a friend’s house and we all survived! We joined the Y instead of a fancy gym. The Y offers financial aid for membership. We didn’t make the cut with our salaries, but the low price was much more affordable than the fancier gyms in our area. New clothes? New furniture? Nope! We furnished our first house from hand me downs and thrift stores. This one was a killer because we both love to travel. However, it was worth it! We only traveled for weddings and family for 7 years. Now we travel a good bit just because we have the money and we enjoy it. We kept our old cars because we had no car payment. As much as we would have loved better cars, the ones we had worked just fine! I put all of my disposable income toward paying off student loans. You just received a $5,000 bonus ? No, your student loan provider just received a $5,000 payment. I created a game where I would cook a nice meal at home for my wife. I would ask Hannah how much she would have paid for that nice meal if we went out. If Hannah said it was worth $30, I would pay $30 to my student loans as if I had gone out to dinner with her that evening. 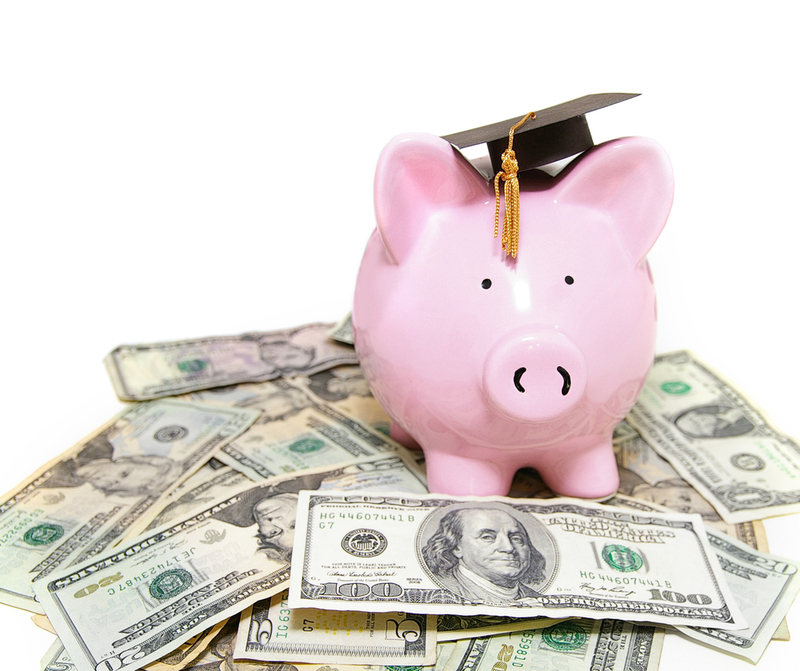 This strategy not only helps you reduce your student debt, but your waist size as well. I didn’t focus on the amount. Remember size doesn’t matter. If you checked my loan payment history, you would see payments commonly ranging in size from $5 to $20. As full disclosure, many times I would make a loan payment, while using the restroom. In many countries, you have to pay to use a public restroom. I called it my restroom tax. I get it . . . you may not want to borrow my phone. I used the snowball effect. I paid off my loans with the highest interest rate first. I would then take that payment and apply it to the loan with the next highest interest rate. If two loans accrued interest at the same rate, I would apply all extra payments to the loan with the lower principal amount. This snowball strategy is a well-known useful tool. On a 10 year repayment plan, I had to pay $1,200 per month to pay off my loans. It was an awesome feeling each year to see my ‘mandatory’ payment amount decrease from $1,200 to $1,000 to $800 to $600 to 300, etc. Don’t be ashamed of telling folks that your goal is to pay off x amount in student loans this year. This will always give you an excuse to not go out to some fancy dinner or extravagant trip (that you really don’t feel like going to anyway). Also, friends can be a great support while you go through your payment journey. Right now, I receive a text from one of my best friends from law school providing updates every time he pays off a student loan. Acknowledge your successes with your friends! I did everything I could do in order to make extra money. As a school teacher, I took on every extra job I could: wellness coordinator, track coach, after school tutor, and summer school teacher. Once my kids were born, I took time off and then started learning how to monetize this blog. At every given moment, I was always trying to figure out a way to bring home extra money to our family. I’d always been eco-conscience about food waste, but living beneath our means made me even more aware of it. I made sure to make a huge effort to decrease our food waste, and in turn safe us a lot of money. I planned out all our meals meticulously so nothing was wasted- food or money. I cut coupons like crazy. At the height of my coupon craze I was able to get about $120 worth of groceries for less than $40 a week. It was amazing, but it was overwhelming and time consuming. If done right, you can save a lot of money. Overall, it’s not too terrible to live beneath your means and pay off debt. In fact, once you get used to it, you may continue to live beneath your means. Now we live beneath our means to save for the future so we can be prepared for the kids to attend college and for us to retire one day. We also save money for emergencies. I can’t imagine what we would have done if we hadn’t had money to evacuate during Hurricane Irma! I love Tom’s comment. “You just received a $5,000 bonus ? No, your student loan provider just received a $5,000 payment.” This is how I feel about our credit card debt right now! Congrats on getting that giant loan paid off! I read about people who couldn’t afford to evacuate during the hurricane and it makes your heart hurt. It’s so important to have that emergency fund in place, because you just never know. Exactly! I’d rather have thrift store clothes, less debt, and a savings account than fancy clothes and a new car! It really does break by heart that some people couldn’t evacuate. So rough! A lot sacrifices have to be made when paying off a large amount of debt. I’m really happy for you and I’m really inspired of how you went through it. Hoping you’d inspire more people with this. Thank you so much! There were some sacrifices but it was worth it! You are so inspiring! I’m really looking forward to the day that I will finally be debt free! Anyways, thanks for inspiring people. Cheers!